Mid and East Antrim councillors have agreed to nominate Whitehead to represent Northern Ireland at next year’s Britain in Bloom competition. Elected members gave their approval for the seaside location to be entered into the Small Town category during Monday night’s meeting of the Operational Committee. The local government authority will also enter Ahoghill in the Champion of Champions category. 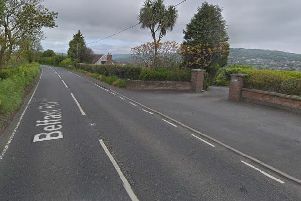 The move was requested by NILGA following the success of both areas in the Ulster in Bloom contest this year. Britain in Bloom is one of the largest horticultural campaigns in Europe, run by the Royal Horticultural Society (RHS). “There are three main elements of the campaign: horticultural achievement, environmental responsibility and community participation,” a members’ report read. A portfolio is to be published before judging, which takes place during July/August when members of the panel visit each location.